Holograms are shooted by laser beam in different angles which figure out different colors - red, green, blue, yellow, etc, in difference viewing angles. 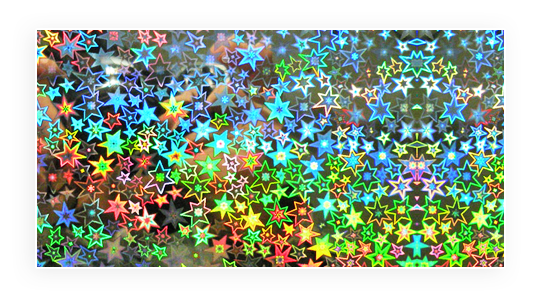 Colors of the hologram will change, because when rainbow hologram is turned back and forth depending on the light source and viewing angle, the colors will run through the spectrum - the colors of the rainbow. Different viewing depth of hologram comes from different position of the artwork film we locate when shooting master. Dot-matrix movement effect comes from continuous hologram dots. Holograms artwork design are basically an illusion; they are reflections of light that fool the eye into seeing a three-dimensional image. Therefore, it is impossible to give an accurate representation of a holographic image on a computer screen or paper printout. What you will receive via email or hardcopy is an artwork proof to look over to be sure that the graphics and layout are to your liking, free of typos, etc. 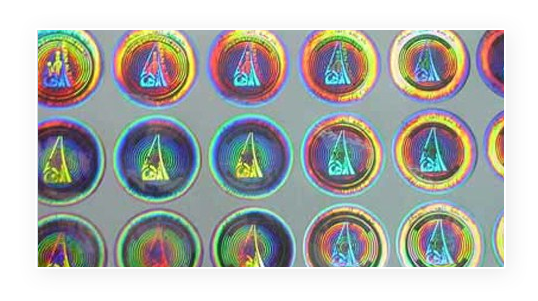 The holographic master shooting process involves many detailed steps, so it is very important that all hologram artwork is approved before the project moves into the laser lab for holographic mastering. 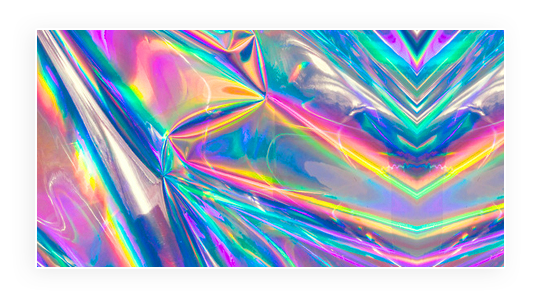 Holograms can be made from photos, flat art which is designed by Corel Draw, Illustrator, Photoshop or other software.Artwork file in Corel Draw or Illustrator format is best file for us to seperate overlay design into layers and colors. Adobe Photoshop file, JPG, GIF, is ok, if you cannot design by Corel Draw or Illustrator. The text in artwork file should be converted into curves, so we can open it without change font in it.